Cuteness alert!!!!! This spectacularly bred gent is a son of the champion sire Giant’s Causeway out of an Afleet mare, and he is a half brother to major stakes winner and $750,000 earner Drivenbysuccess. 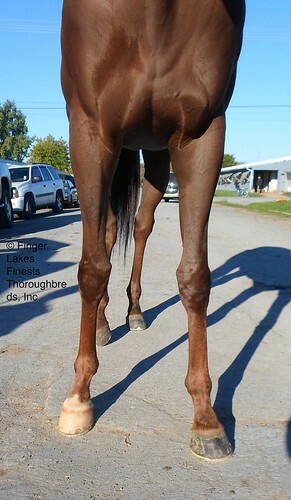 Good sport lines here, since Giant’s Causeway offspring are known to be good jumpers. 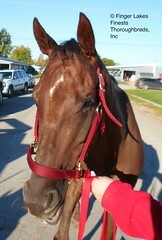 His current owner/trainer adores him and we understand why. 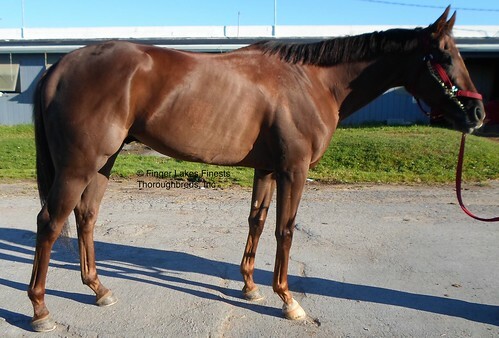 He is letting her know he is done….DONE….with racing and this is an opportunity for you to own a regally bred boy who is quiet, sound, personable and just a fantastically adorable and sound horse. His gleaming liver chestnut coat boasted dapples and his beautiful movement ratchets up his desirability. 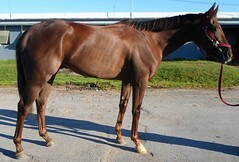 His sweet demeanor has endeared him to his current owner and she wants a perfect home for him. 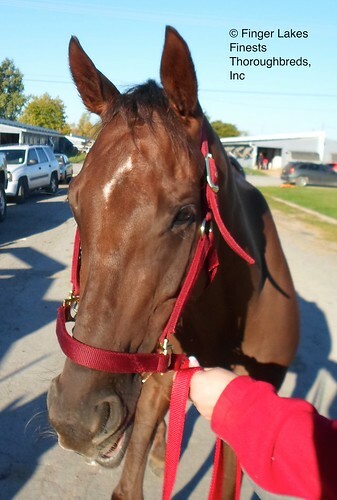 Don’t wait a moment to get a piece of racing royalty cloaked in an adorable and sweet package. This young man is a diamond in the rough!